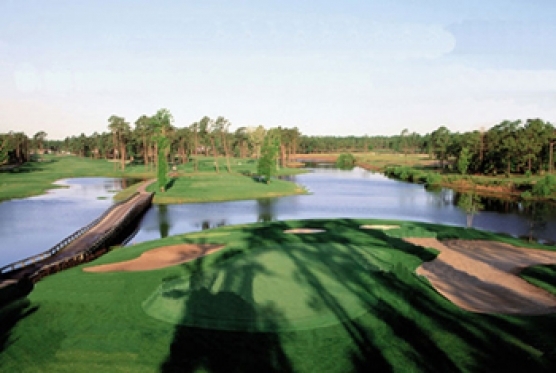 Colonial Charters Golf Club recently reopened after operating as Palmetto Greens Golf and Country Club since 2008. It has reopened with new ownership and management following nearly two months of renovation. Pace Group, a development company headed by Myrtle Beach resident Van Watts, struck a lease-purchase agreement last month with course owner Mike Matheny to take over the layout, and hired East Coast Golf Management to operate it. Approximately $250,000 will be invested in changes and improvements and the first indication of the investment is a new Colonial Charters sign at the club’s entrance on S.C. Hwy 9. Every room in the clubhouse has been repainted and also new crown molding, trim work, patio furniture, dining room furniture, tables, chairs and bar stools have been added. Four new flat screen televisions and five new air conditioning units bring the clubhouse renovations closer to completion. Mike Buccerone, president of East Coast Golf Management stated that the course had been closed a week before the lease agreement took effect and weeds were several inches high in the fairways and there were bare areas on some greens, which feature TifDwarf Bermuda grass. Drainage work has begun and is ongoing and there were three irrigation issues involving leaks and pump damage that had to be repaired. Bunkers have been reconditioned with new sand and the course has a new fleet of golf carts as well as new maintenance equipment. The layout lost about 300 yards when it was redesigned by Matheny with the help of designer Rick Robbins into a 6,427-yard par 71. Colonial Charters was originally designed by John Simpson and opened in 1988.